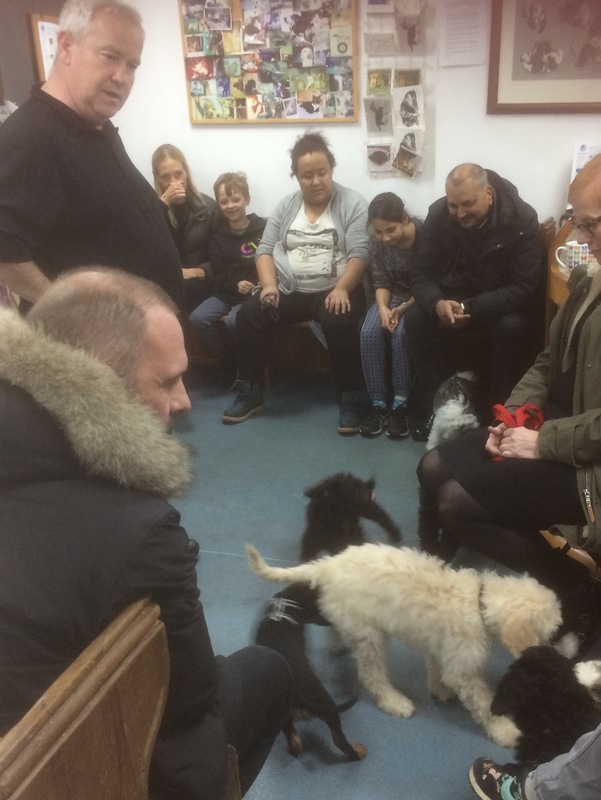 For owners of puppies and young dogs we host Pups2Dogs, Training and Behavioural Classes organised and run by canine behavioural expert Joe Clarke. Dogs, like humans, are social creatures, and just like us their early experiences can have a profound influence on their behaviour and habits as adults. Pups2Dogs believes that the most kind, fair and effective way to train your canine companion is through positive reinforcement during our classes and tuition. The classes aim to give young puppies the best possible start in life by giving their owners a greater insight into their dog’s needs. · Dog healthcare and wellbeing. The course is designed to teach you puppy management in the most important weeks of your puppy’s life. Our aim is to educate and provide as much useful information as possible to help bring up a well socialised and mannered dog. Your puppy is currently at its most impressionable periods of development so it is essential to start socialising and training your puppy at the right stage of its life. Bad habits picked up and not dealt with can cause long term frustration and heartache, and the classes at Pups2Dogs can help prevent problems in the future. Your puppy's early months are the most exciting, tiring and difficult as a puppy owner. We pride ourselves in helping new puppy owners, using kind methods of training and simple, clear explanations to help resolve any your puppy problems. During the 6 week course we provide constant support to you and your family. If you have any problems or concerns no matter how trivial they seem, please feel free to contact us. Puppy Classes are held on Tuesdays at our Sidmouth clinic from 7.30-8.30pm. These classes are available for puppies from 10 weeks old. This is not a set six week class, so you do not lose a session if you are unable to attend. Junior Classes are held at our Neasden branch on Wednesdays from 7.00-8.00pm. This course is for adolescent dogs aged 6 months and over, the stage at which their social skills are still developing. This is a set 6 week class. Our Pet Health Club is an easy and affordable way to ensure your pet is covered when it comes to preventative health. The scheme includes everything necessary for the prevention of fleas, worms and other parasites, as well as routine vaccinations. Ensuring that your animal is fully up to date with their vaccinations is one of the most important things you can do to safeguard their health as a pet owner. Click here for key information on what, and when, you should be doing. Get in touch with our dedicated team today.